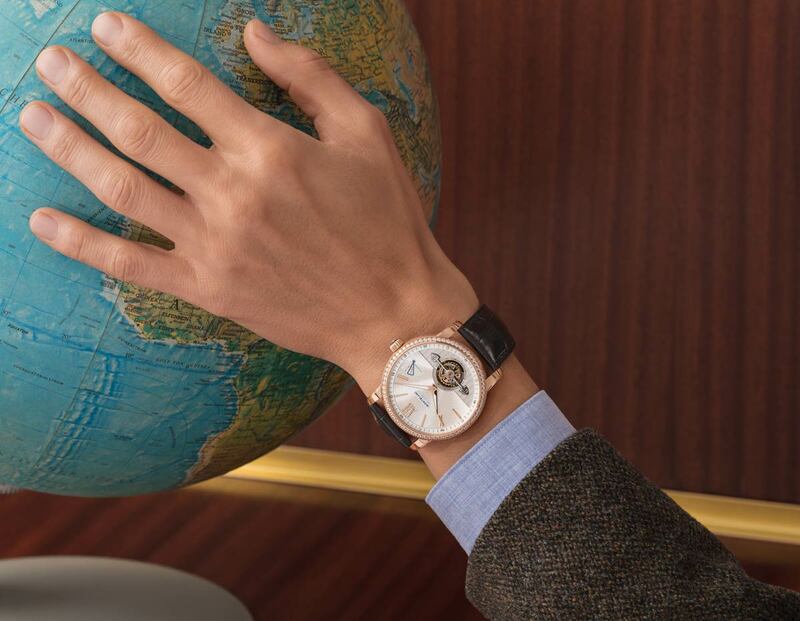 Taking its name from the height of the highest mountain in Europe, the Mont Blanc (4,810 metres above sea level), Montblanc’s 4810 Collection is characterized by details like large and bold cases, guilloché dials featuring the exploding Star pattern (a signature of the brand), Roman numerals and regate-shaped hands. After the launch of the collection in 2016, Montblanc is now introducing two new 4810 ExoTourbillon Slim models, in white gold and red gold. Like their predecessors, they combine the Maison’s patented ExoTourbillon complication with the addition of a quick stop-second function. 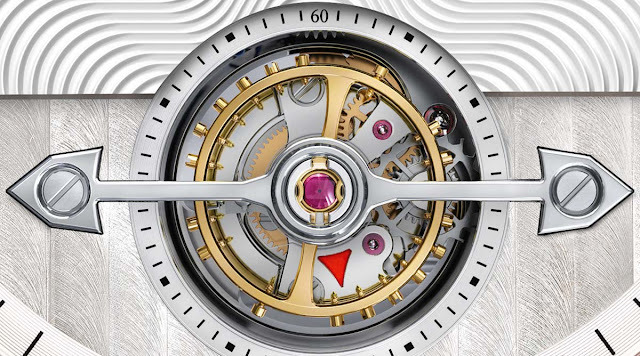 The Exo in the name is derived from the Greek for external or outside and refers to the screw balance, which is positioned outside of the tourbillon’s rotating cage. 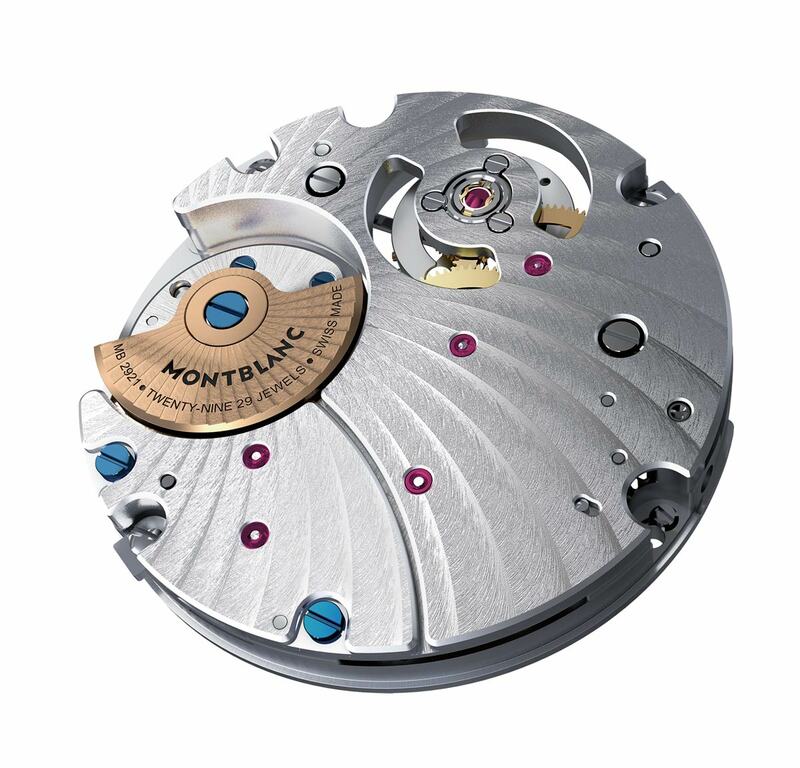 Montblanc’s patented ExoTourbillon offers some advantages compared to standard tourbillon constructions. In particular, the weight of the cage of the ExoTourbillon is disconnected from the balance wheel and its weight is minimal, thus resulting in higher precision and improved isochronism. All the functions and operations are set via the crown at 3 o’clock: Position 1 for winding the movement and position 2 for setting the time. The automatic ExoTourbillon calibres MB M29.21 and MB M29.24 beat at 21,600 vibrations per hour with a power reserve of approximately 48 hours. 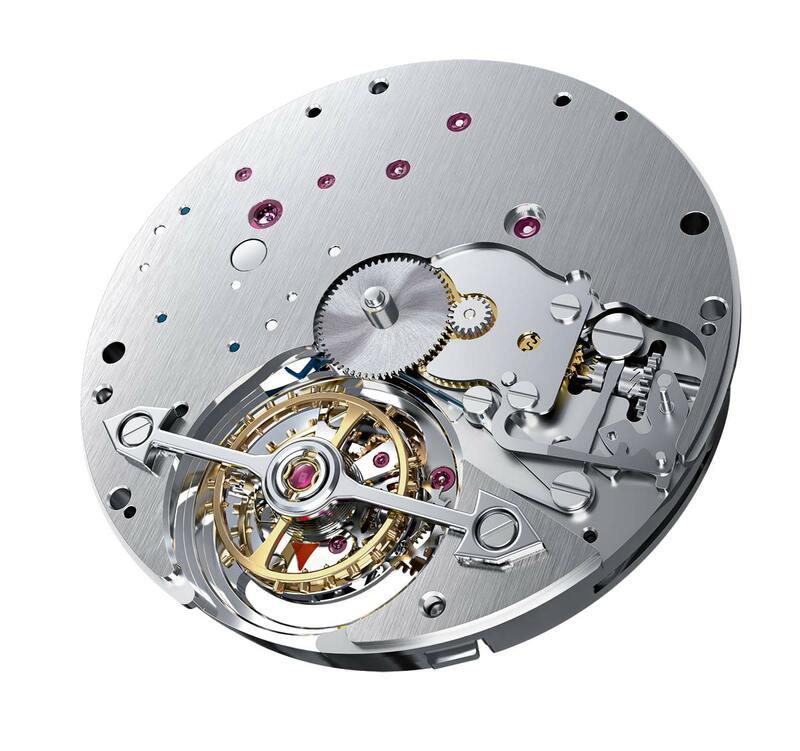 Both movements incorporate a micro-rotor decorated with a Côtes de Genève "en Eventail" motif that allows an uninterrupted view on each movement through a sapphire crystal case back, in comparison to a standard rotor that always hides half of the movement. The barrel is embedded under the main plate for optimal equilibrium between the barrel, the rotor and the balance wheel. A red arrow on the tourbillon cage indicates the seconds and features a practical quick stop-mechanism. This quick stop-second function is made possible thanks to the construction of a whip, which halts the large screw balance with its 18 screws and restarts it on demand. In addition, the calibre MB M29.21 features a gauge on the dial that informs the wearer which setting the crown is in. The two new Montblanc 4810 ExoTourbillon Slim come in a 42 mm round case with a thickness of just 10.14 mm. The first model is crafted from white gold and features a starry night dial with an upper part made of shiny dark blue aventurine and a lower part displaying the ExoTourbillon construction against a refined Côtes de Genève motif. Running around the outside of the dial, a discreet minute track has been added in blue. 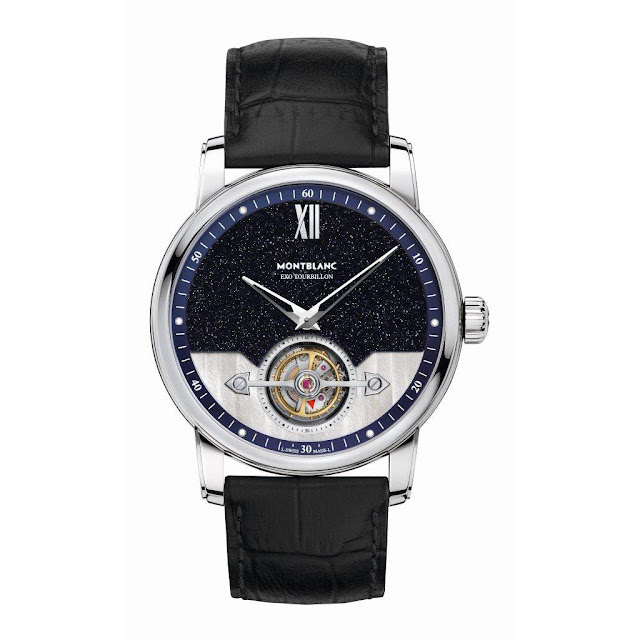 The price of the white gold Montblanc 4810 ExoTourbillon Slim (ref. 116525) is Euro 46,100. The second model enhances the red gold case with a precious bezel set with 68 diamonds for a total of 1.326 carats. 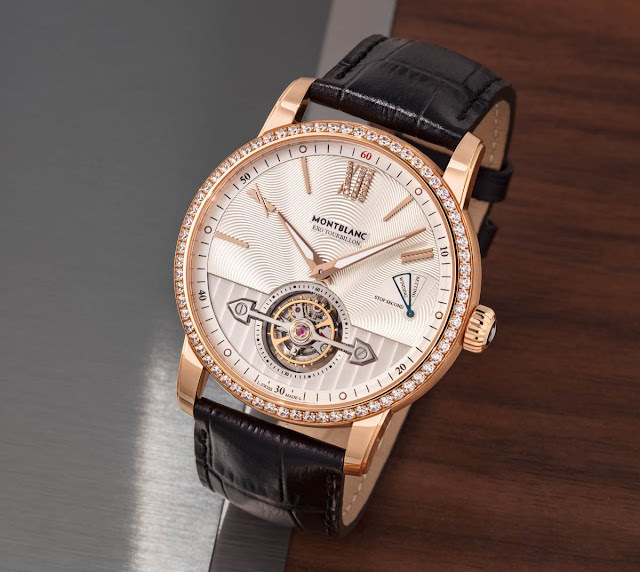 The upper part of the dial is decorated with a silvery-white guilloché whose pattern depicts an exploding view of the Montblanc Star emblem, while the lower part of the dial highlights the ExoTourbillon against a refined Côtes de Genève motif. The Roman numerals and indexes are red gold-plated, with the number XII set with 18 diamonds. The discreet minute track running around the outside of the dial has been added with a red "60" at 12 o’clock for greater legibility. The price of the Montblanc 4810 ExoTourbillon Slim in red gold (ref. 116523) is Euro 40,500. Both Montblanc 4810 ExoTourbillon Slim models are fitted with black alligator straps and have been tested by the Montblanc Laboratory Test 500 that simulates over 500 hours of real-life wear. 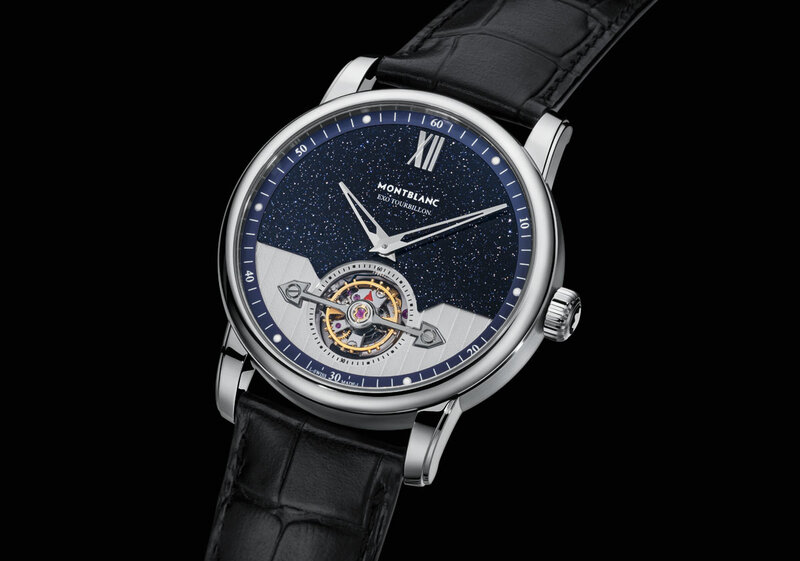 In addition, Montblanc is also introducing a dual time complication, a first for the 4810 collection. 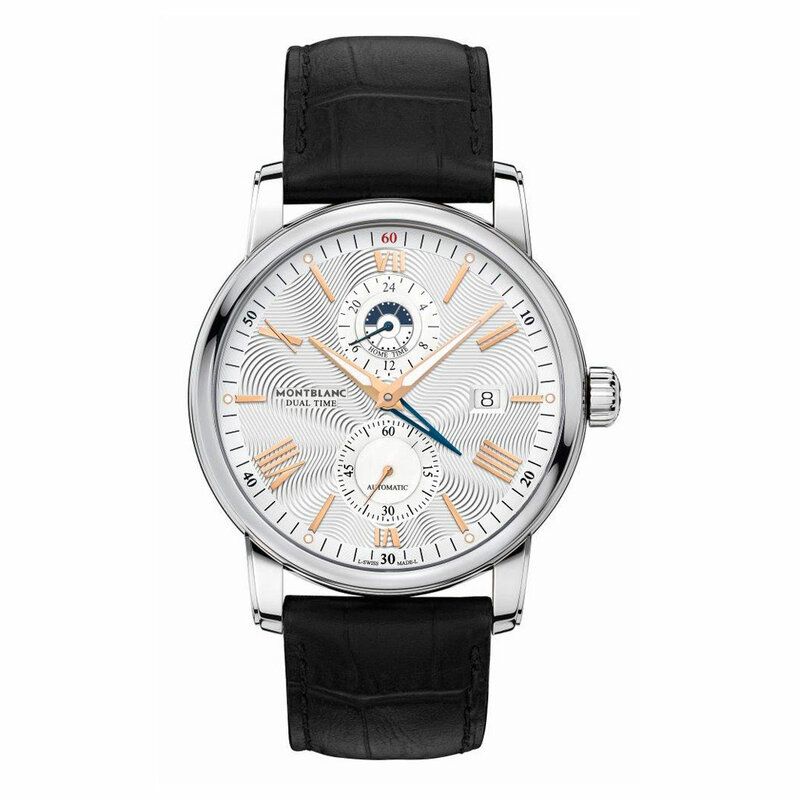 Designed for the modern traveller who needs a high quality and practical timepiece, the Montblanc 4810 Dual Time allows the user to easily set the local time hour hand to the new destination time zone through the crown without affecting the home time hour hand. The minute hand and the second hand also continue to run uninterruptedly during this setting process, thus preserving the exact time. The date is linked to local time with date change either forward or backward. The skeletonised regate-shaped home time hand positioned in the centre of the dial is highlighted in a blue colour to distinguish it from the local hour hand, which is red gold-plated and completely filled with Super-LumiNova for a better readability at night. A 24-hour subdial with day/night indication, which is connected to the central home time hand, is visible at 12 o’clock. The dial also includes a small second subdial at 6 o’clock, with a circular "azuré" finishing as well as a date display, which is linked to the local time, at 3 o’clock. The design codes of the line can be seen in the refined 42 mm stainless steel case and the elegant silvery-white guilloché dial featuring the Montblanc Star pattern. The dial is completed with classic red gold-plated Roman numerals and a precise minute track with the number "60" highlighted in red and Super-LumiNova dots for the odd hours. The new model is powered by the in-house developed MB 29.19 automatic calibre beating at 28,800 vph with a power reserve of 42 hours. Montblanc 4810 Collection, new 2017 models. After the launch of the collection in 2016, Montblanc is now introducing two new 4810 ExoTourbillon Slim models in white gold and red gold. Like their predecessors, they combine the Maison’s patented ExoTourbillon complication with the addition of a quick stop-second function. 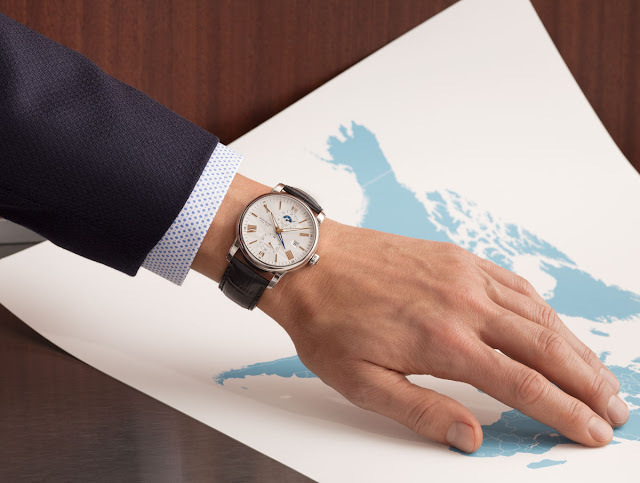 The price of this white gold version of the Montblanc 4810 ExoTourbillon Slim (ref. 116525) is Euro 46,100. The price of the Montblanc 4810 ExoTourbillon Slim in red gold (ref. 116523) is Euro 40,500. In addition, Montblanc is also introducing a first for the 4810 collection with a dual time complication. The Montblanc 4810 Dual Time (ref. 114857) has a price of Euro 4,400.